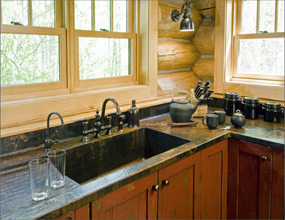 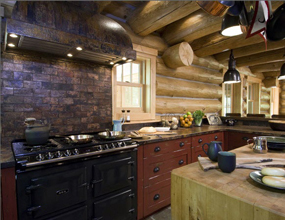 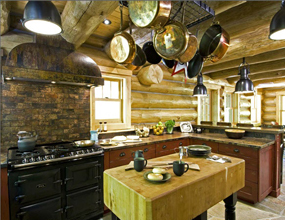 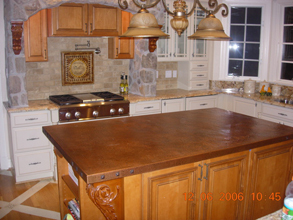 Custom Countertops - #3918 | Handcrafted Metal Inc. 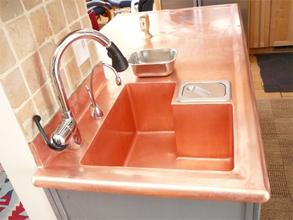 This island's large size was still able to fit onto a single sheet of copper. 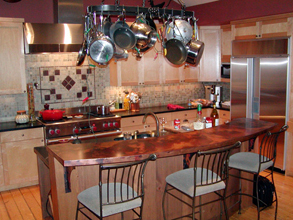 The expanse of reverse hammering is striking by itself on this rectangular top. 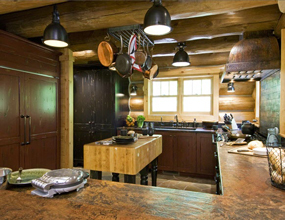 The layout of this island with the sink cut-out in the corner maximizes usable area. 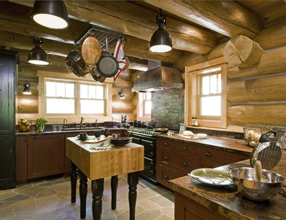 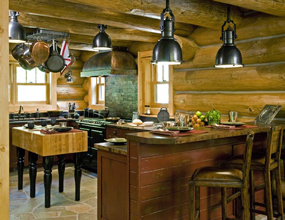 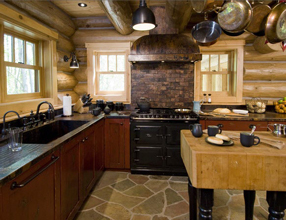 This island incorporated an overhang on the side opposite the sink to make an eating area. 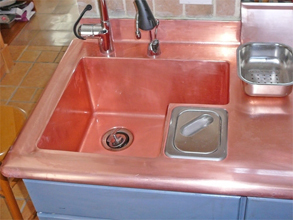 Reverse hammered copper, medium antique patina.